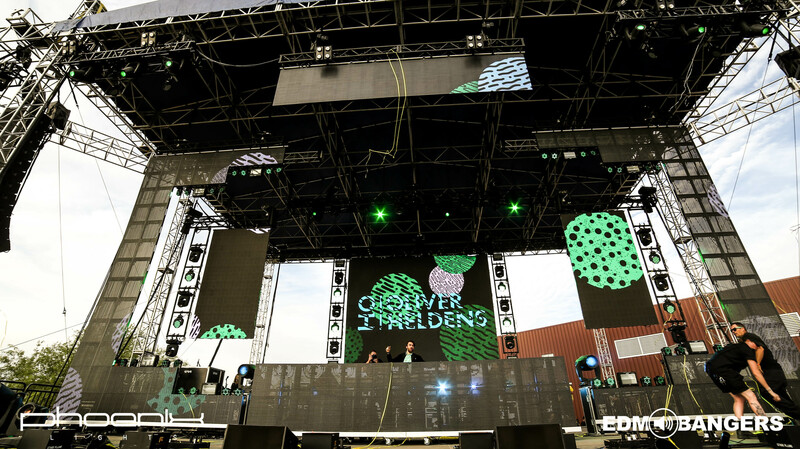 Phoenix Lights Festival was one for the books and a perfect start to our festival season. Relentless Beats fueled a weekend full of dancing, amazing sets, and memories that will be engraved in our brains for the rest of our lives. 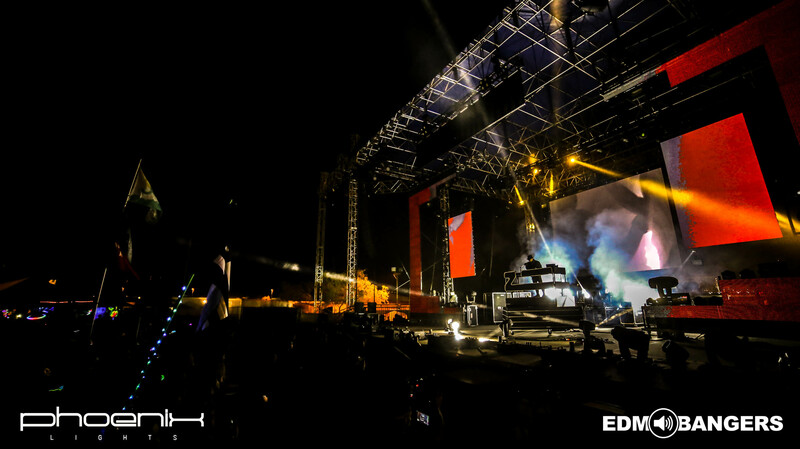 With headlining artists such as Above & Beyond, Tiësto, Alesso, Zeds Dead and STS9, Phoenix Lights brought a melting pot of genres for any concert goer’s taste. Taking place in Rawhide Western Town and Event Center, the festival featured three stages and two on-site venues for the afterparties. Enough with specifics though. Phoenix Lights Festival was an unforgettable weekend full of new friends, smiles and music. Waking up to catch our flight to Arizona was brutal. I vaguely remember sleeping, as I was closing my eyes and I could hear music playing in my head. 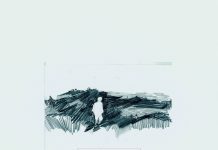 I was anxious and exhausted. We left at 3:00 a.m. to head to O’Hare, with our eyes barely open and our bags packed. Our flight was not until 5:00 a.m., but we figured a cup of coffee and some breakfast was a perfect start to this journey. We had a four hour flight from Chicago to Phoenix, in which I still couldn’t sleep. My videographer was able to catch some Z’s, as I was trying to work on some new music. Landing in Phoenix Sky Harbor International Airport, I could feel a change in the air. Maybe it was the altitude or the landscape. Rather, it was the warmth of the dry climate, exceeding 80 degrees. This is paradise. Coming from a cold night in Chicago, Arizona seemed like the garden of Eden, with its doors wide open. What a great start to this trip. We were settling into our hotel, as we learned the news about the venue change. 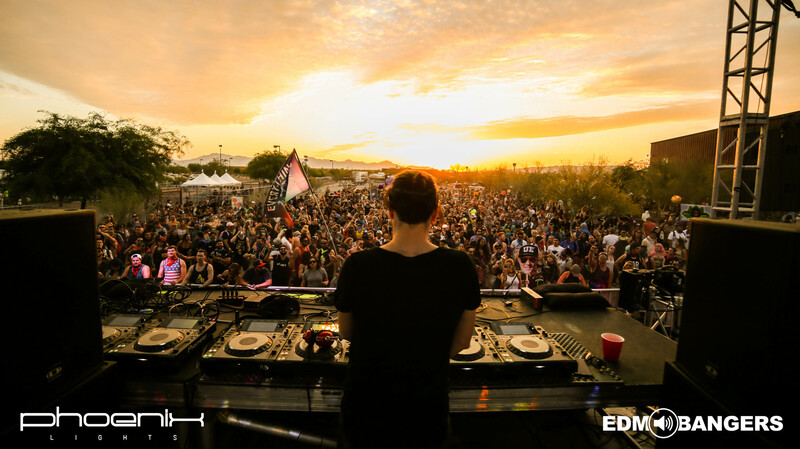 Due to some unforeseen circumstances, Phoenix Lights Festival had to move its location one day prior to the event. This was not a pleasant surprise, as our room was 15 minutes away from Margaret T. Hance Park. However, Relentless Beats did a great job accommodating festival goers, by booking buses to pick up and drop off from downtown Phoenix to Rawhide. The sun gazed through our rectangular window in the 12th floor, as we started waking up and getting ready for a full night of dancing. Eating a great breakfast was a must, and we walked down the street for some eggs and freshly squeezed orange juice. Our bags were packed full of recording equipment, business cards, earplugs and other supplies we needed for the first day of Phoenix Lights. I always forget to pack something, and this time sunglasses were the missing item. The Arizona heat gave me a boost of vitamin D, but the sunlight hurt my eyes. We walked a few minutes to the pickup location and hopped on a big yellow school bus, which made it seem like the perfect throwback (even though it wasn’t Thursday). The drive was about 30 minutes, as our driver managed to get lost in the desert. Rawhide seemed like a town from a Western movie to me, as I am used to the marsh-like landscape of Chicago. As we hopped off the bus, the thump of a kick pierced my ears and a smile came across my face. We started walking towards the media check-in to receive our wristbands and enter the festival. Even though there was no media entrance, the wait was not that long. We got our bags searched and we entered Phoenix Lights for the first time. As we headed past the security check, we started seeing the plethora of people dressed in all kinds of colors, dancing and walking from stage to stage. I was caught off guard, as the vibe of this festival was friendly and joyful; it must be a West Coast thing. 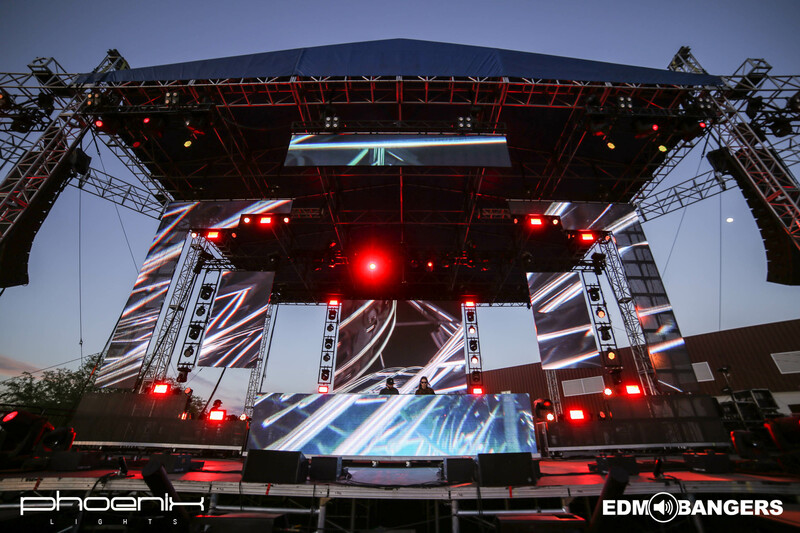 The Mothership stage was blasting bangers from Spinnin’ Records‘ own, Shaun Frank. With a mix of big room house, trap and other four-on-the-floor genres, I was really excited to hear “Easy Go” from the speakers. Shaun works a lot with Delaney Jane, and even though he didn’t play their own song, “Heaven,” I settled for her collab with Grandtheft. After grabbing a beer and setting up the cameras at the VIP section, we caught a little bit of Illenium‘s set and went on to get some footage. We still had not explored the whole festival grounds yet. There was an enclosed stage, with the sounds of Vindata live in our ear drums. We got a flavor of g-house and went on to the third stage, to see our Chicago native, Felix Da Housecat. Representing the Windy City in Arizona, we are all about the House music, and we always have been. 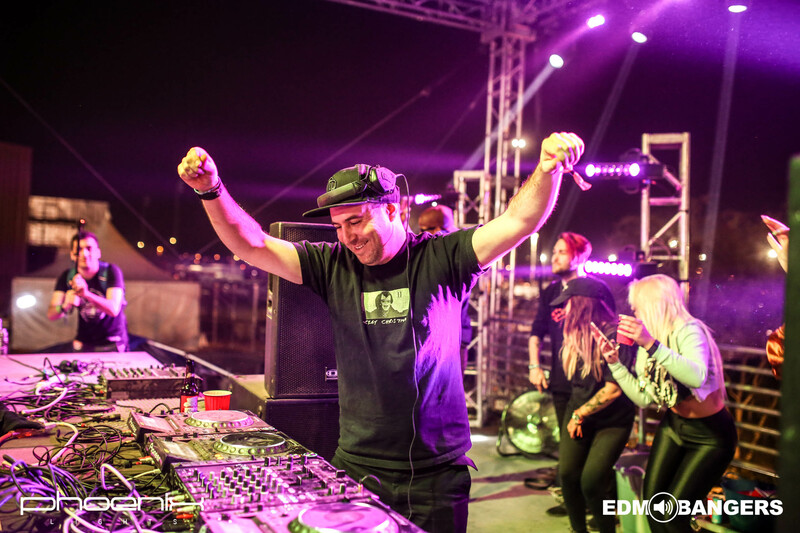 We had also included him in the artists to see at Phoenix Lights Festival. I got my groove on and I had the chance to meet Felix. As one of my inspirations, this meeting was one for the books to take off my list. I really liked this side stage, as it gave me a really intimate feeling. With smaller crowds and space to dance, this stage created a connection between the crowd of music fans. At this point we went back to the main stage to check Tchami‘s set, for some Confession label bangers. This was just the warm-up, before Zeds Dead fans assembled. I was ecstatic to witness a bass-heavy set from the boys, as in Chicago, they always seem to play more trap. However, the real show I was waiting for was Above & Beyond, as I had not seen them live in a long time. They say trance heals the soul, and after this set I remembered why this musical act is so famous. I am a bigger fan of progressive trance personally, and Above & Beyond made sure to play a mix of that, in conjunction with some vocal tracks. It was really beautiful to see their “push the button” moment live; something that touched my soul that second. They were genuine, and their music brings positive energy out to everyone. Trance really is amazing. Leaving Above & Beyond to catch a little of Tiga was a must. After all, house is my number one. He played some deep and tech classics, but we did not have a lot of time to spend here. Tiësto was coming out, and that was a set to not miss that night. His epic intro hit and started creating anticipation for the crowd. Tiësto hopped on the mic and greeted his fans, while he started playing some bangers and got everyone dancing. It is amazing how every one of these artists has their own sound. 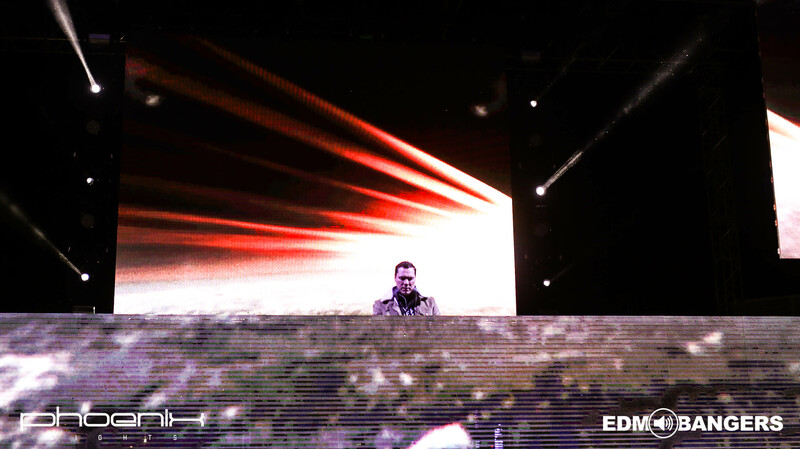 Tiësto‘s set was contrasting to Above & Beyond‘s, with different genres played overall. Even though they were both playing four-on-the-floor, there is something about Tiësto that puts you in a happy dance phase. 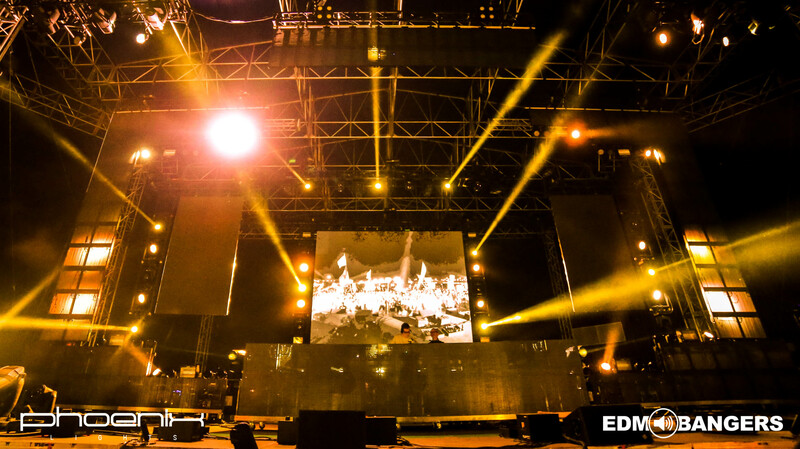 We checked out Pete Tong, the legend of the essential mix, before the night ended. 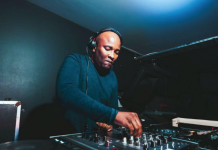 He played an extra 15 minutes, which is one of the best ways a dj can reward his fans. They literally had to tell him to stop, or else he would have been playing all night. His performance concluded day one, as we were too tired to go to the afterparty. We finally made it back to our hotel and tried to pass out, in order to relive Phoenix Lights all over again on Sunday. Waking up was rough, as there was something about Arizona that was keeping me from sleeping. Maybe it was the large amounts of coffee that I drank, but I did not wake up refreshed. Nonetheless, I was blessed to have a nice meal before I headed to Rawhide again for the second day. I had no clue at the time, but the last day was one of my favorite festival days up to now (and I have quite a few festivals under my belt). Heading to the bus station around 3:00 p.m. under the burning sun, was like Odysseus’s 10 year journey to return back to his home, Ithaca. In one word; exhausting. 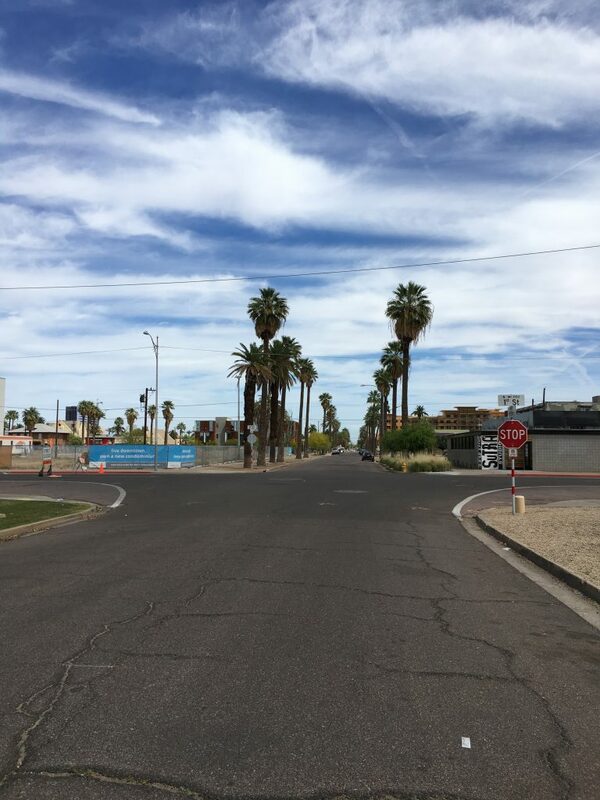 Arizona and air conditioning go hand-in-hand, and we made it to Rawhide cool and fast – faster than the first day. After entering the festival we grabbed some refreshments and posted up at our favorite spot in the VIP area. As we were getting our equipment ready, we were listening to the sounds of Thomas Jack. A pretty groovy set I must say. I actually liked the music he was playing, but he is not one of my favorite producers. I was more excited for the next set. Oliver Heldens is one of the main reason why I make music. A person who inspired me immensely, I was blissful to meet him. 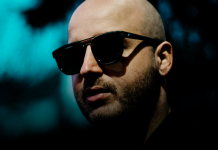 These leaders of the electronic music scene seem like titans to a bedroom producer like me. However, they are really humble when you meet them face to face. His set was amazing, full of groove-filled baselines and catchy leads. We had an interview with Pig & Dan lined up later in the evening, but we had to catch some sets from our favorite artists. Unfortunately, I missed K?d, and it was a bummer. He has been on my radar ever since his recent rise to fame, and I wanted to experience his set live. After the interview was completed, we caught the last 10 minutes of Lane 8, as he was closing the fifth slot of the Colony stage. The shot above shows him playing “Fingerprint” as the sun is setting, which was one of the most beautiful experiences in my life. The crowd, the color of the sky and the melodic hook playing, connected all of us into one entity. The vibe was amazing. He was also one of our artists to see during Phoenix Lights. STS9 was still playing at the Mothership stage as we were making our way back there. Enjoying the instrumental sounds of the electronic jam band was a perfect way to relax and get ready for one of the most mysterious artists in the lineup. 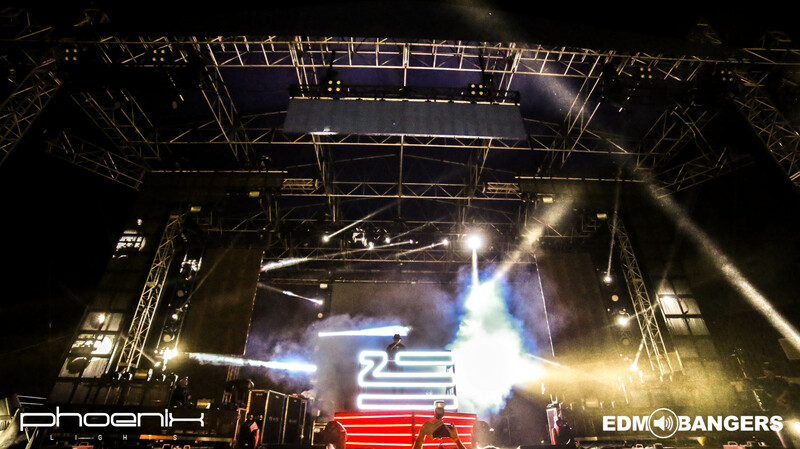 Zhu got on the decks and people were hyped. He brought his own themed stage, rocking his flag-like logo that lit up. He puts out a great mysterious vibe with his music, and his basslines are bangin’. However, I don’t always like his vocal tracks. Alesso was closing the main stage this day and we caught some of his set too. 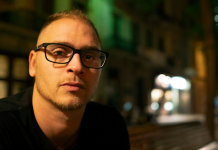 The Swede played his style of house that many of his peers share; big room tracks with progressive basslines and encompassing vocals. 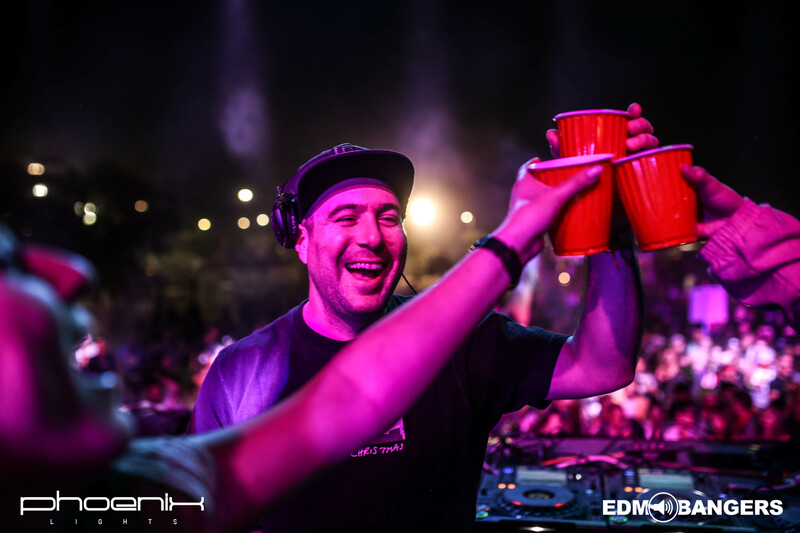 However, we went to the Colony stage to close day 2 with one of the best Dirtybirds of them all, Justin Martin. If you are talking house, then you are talking Dirtybird. This influential group of musicians, guided under Claude Von Stroke, bring their side of house with a serving of intimate vibes. If you have been to any of their events you know they rock the crowd, and they live to make us dance. 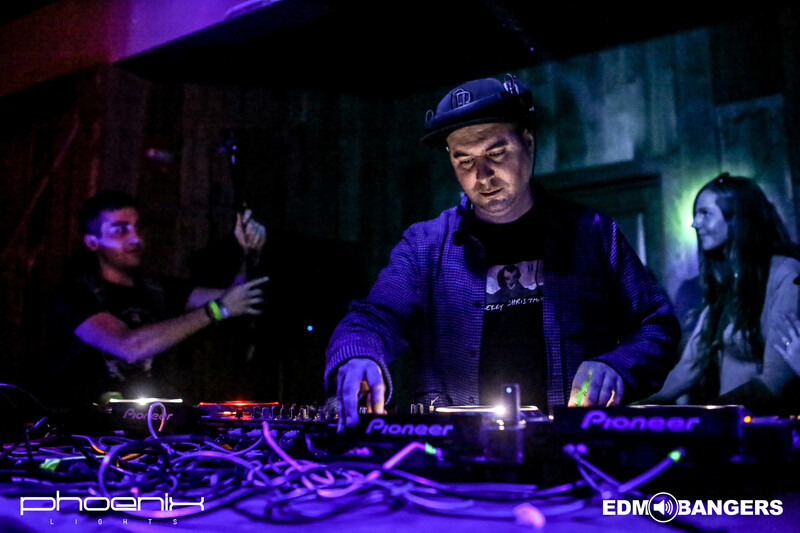 The Justin Martin set was a big party that everyone loved. 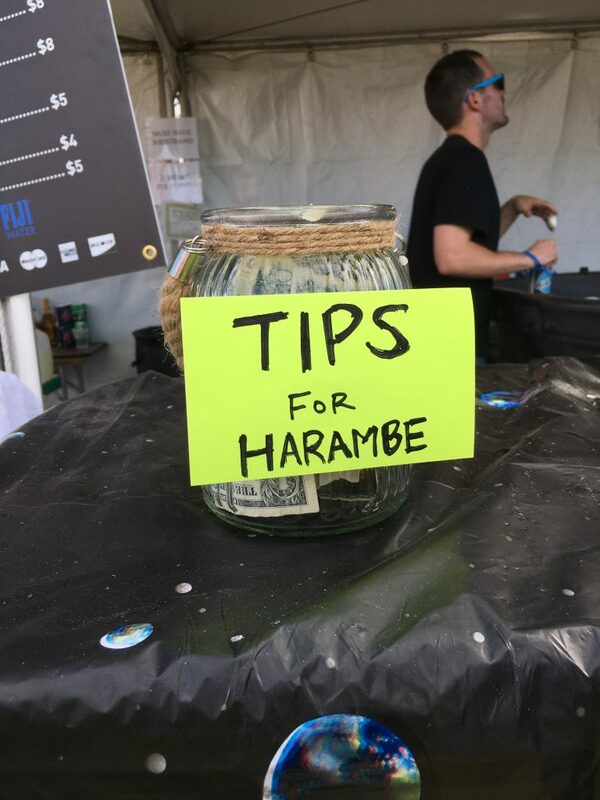 This was definitely my favorite moment from the festival. Getting to meet another one of my inspirations made Phoenix Lights one of my favorite experiences up to now. We got to talk to the man himself and share smiles on the Colony stage. 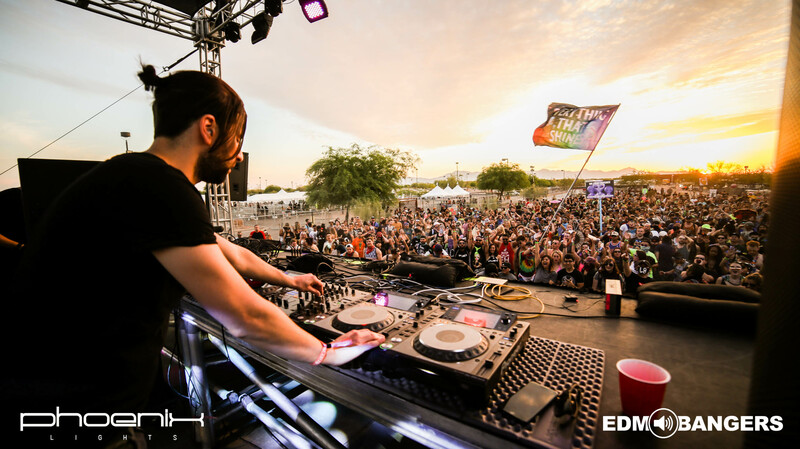 We also featured him in our list of acts to see at Phoenix Lights. We went to see Justin at his afterparty at a saloon in Rawhide. It was a short golf cart ride away, but we made it in one piece. He played a different set from before, with some tracks that I had not previously heard. I wish these sets were recorded so I could relive these memories again. This was a blast. His set concluded the night as we started making our way back to the hotel room. This weekend was one for the books, and a great start to my 25th birthday. We met a lot of people, made new friends and got to experience Arizona’s festival scene. I would like to give a special thanks to Relentless Beats for having us. This truly was an unforgettable trip and we can’t wait to be there next year.